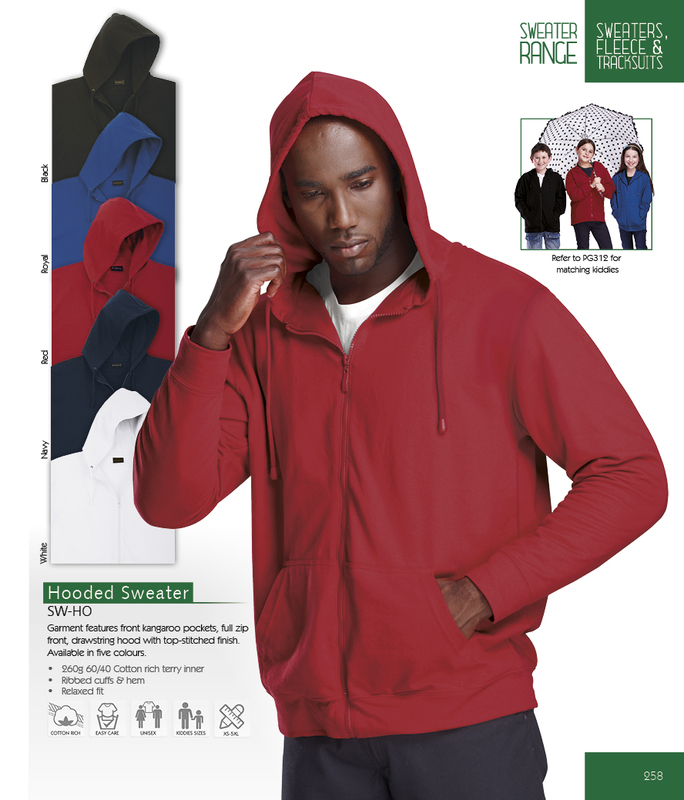 New urban-collegiate look in this heavy-weight hoody. Contrast colour detailing in the full zip, piping and inner hood. Hoody features include ribbed cuffs and hem, kangaroo pockets, chuncky draw cord and top-stitching throughout. 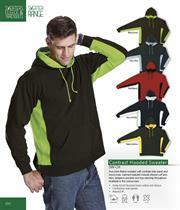 Hoody features include front kangaroo pockets, full zip front, drawstring hood and top-stitched finish. Available in five colours. Two-tone hoody with contrast side panels and inner hood. 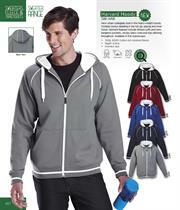 Hoody features include ribbed cuff and hem, kangaroo pockets and top-stitching throughout. Available in five colourways. High fashion light weight jacket option, ideal for sport and corporate identities. Unisex styling for universal application. 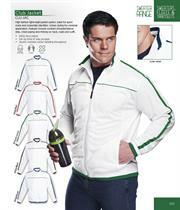 Features include contrast shoulder/sleeve striping, chest piping, ribbing on neck, waist and cuffs. Sweaters - Urban look hoodies and sweaters. We can manufacture to your personal or school's specifications.